So, recently I’ve been bored. That’s nothing new really. The up side to the times when i get really bored is that i usually end up starting some sort of electronics project. Since i have an interest in the DIYBIO movement and an interest in DIY chemistry i have realized that it’s really cool (and helpful) when you can use sensors to collect your data. But up until now i haven’t had the motivation (or the money) to really dive into it. But today’s post may be the beginning to turning that tide. Awhile back i stumbled across this post by David Hay, after noticing this question on adafruit. In it he tinkers a bit with interfacing an older vernier (light?) 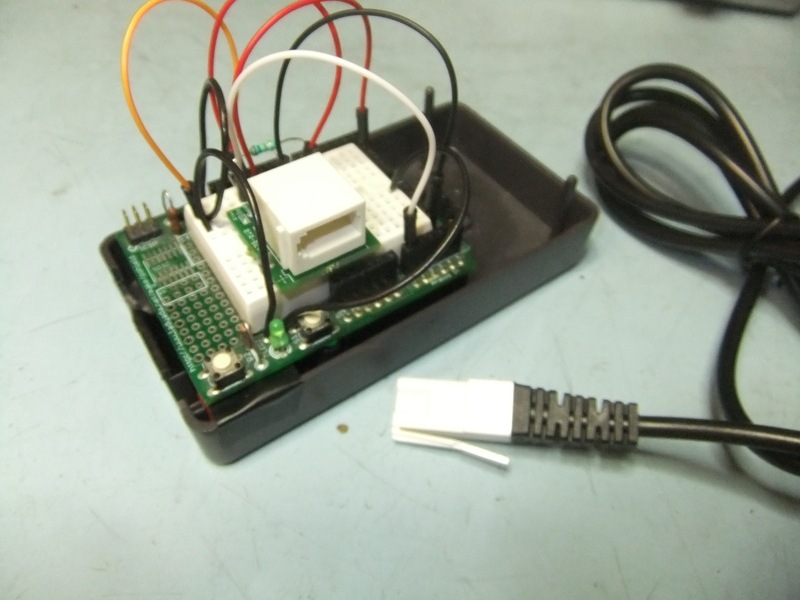 sensor with an arduino clone. Since i use vernier sensors in my chemistry classes at school i have come to love them. I wondered if i could do something similar, but what i really wondered was whether i could do the opposite as well. Could i interface other non-vernier sensors (like sparkfun sensors) using an arduino to the fancy LoggerPro software or my TI84+ calculator? It turns i can! The LoggerPro software is really good stuff, but i’m cheap whenever i can be. That’s one reason i thought of my TI84+ calculator. I already have one of those, and vernier has released free software for it that can graph data from vernier sensors in real time. The program is called EasyData and can be downloaded here. The second option is to use LoggerPro on Linux. And since i’m already a full time Ubuntu user i get to use the newly updated free LoggerPro beta for Linux! Sweet Beans! I’ve already tested both. They both work great. 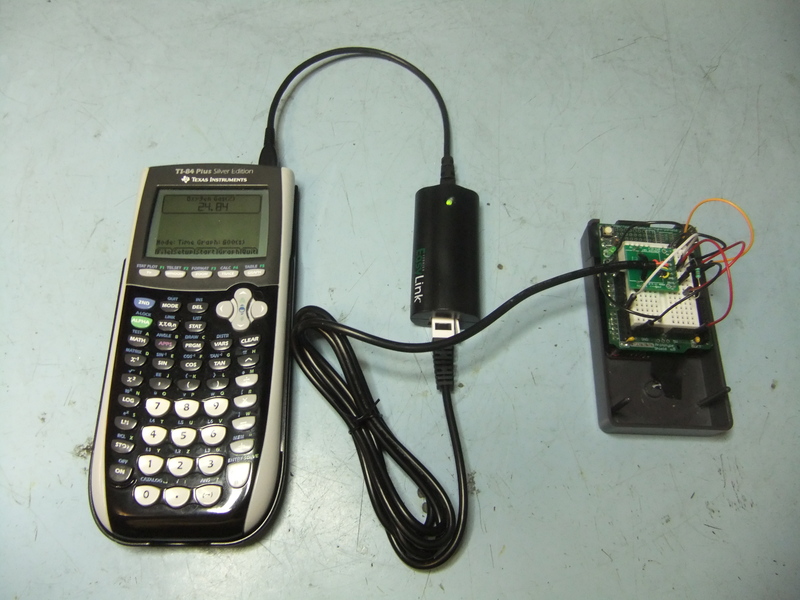 The cool thing is that i was able to hook an arduino to my calculator EasyData program and also LoggerPro on the computer by using a Vernier EasyLink (with an adapter to convert it into a GoLink). I had to get a Vernier Analog Breadboard Cable for it to work, but it was well worth it. I sent some test pwm values using the Arduino example code for the fading led on arduino digital port 9. I used the example pdf from the DIY Light Intensity Sensor example project on the Vernier website to help me out a bit. I was also able to do the opposite like what David Hay did with his sensor. I was able to successfully interface a stainless steel temperature probe from Vernier (which is basically just a thermister in a nice case) to my Arduino. I used the example pdf from the DIY Build a Temperature Sensor example project to help me out, along with the values in an equation provided in the manual that came with my stainless steel temp sensor. I also bought this nice Analog Proto Board Connector from vernier which allowed me to do this so quickly. Here is the code i used on my Arduino to calculate the temperature from this thermister. // set to the measured Vcc. float Temp; // Dual-Purpose variable to save space. So what does this mean? I think this opens up a whole new world of possibilities. On the one hand i believe i can now use the nice Vernier LoggerPro or EasyData real-time graphing software to interface non-vernier sensors like Arduino boards directly and perhaps others like a Sparkfun Alcohol sensor? (which i have one i would like to try) This should make it easy to interface cheap sensors in chemistry and biology labs that already have vernier equipment. I think it also means that we can now easily use Vernier sensors on non-proprietary devices such as cheap Arduino micro-controllers. I also look forward to soon tinkering with using an Arduino webserver as a different real-time sensor graphing and data logging device. I hope in the future i can help to create other tools which might be useful for DIYBIO and other DIY science. Nicely done, and thanks for the shout-out. Neat project! Did you know that Vernier has information on interfacing with arduino at http://www.vernier.com/arduino? also, Sparkfun now sells a Vernier arduino shield with two analog and two digital ports. https://www.sparkfun.com/products/11897 Have fun! Thanks. I knew about the sparkfun shield, it was created shortly after i had done this blog post. 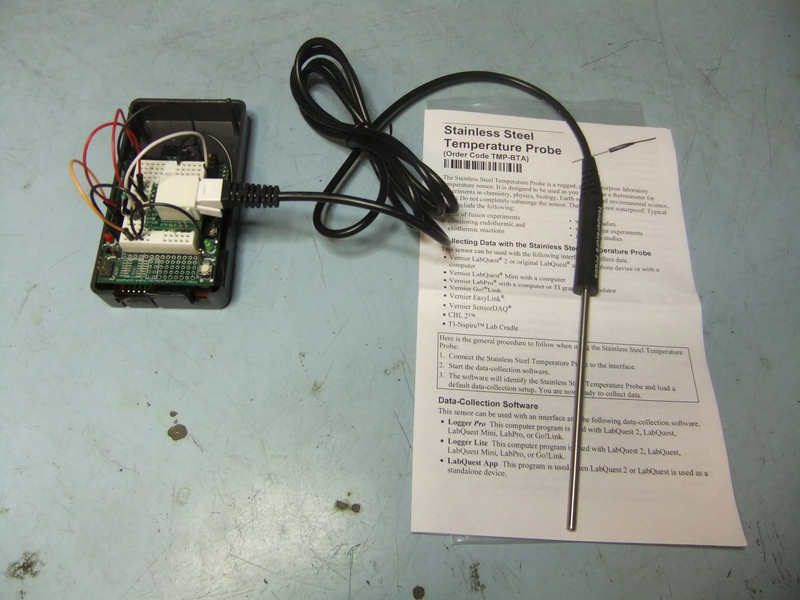 And cool to know about the official vernier arduino page, that wasnt around a few years ago when i did this blog post.